The Most Magnificent School Project! 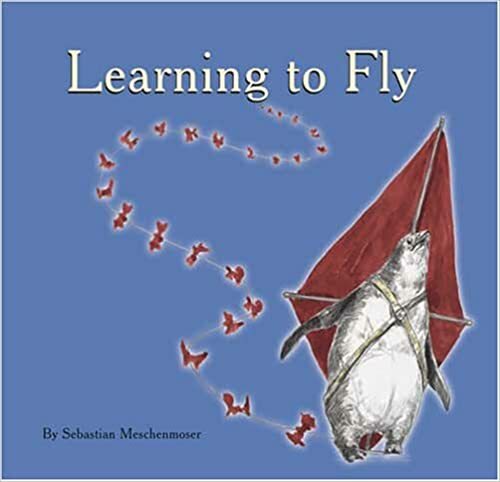 Using picture books to promote school-wide critical thinking project. As you may be aware, the curriculum in British Columbia has been redesigned to reflect a more inquiry based approach to learning and teachers are beginning to implement many of the new ideas into their units of study. This year, my school (J. W. Sexsmith in Vancouver) is specifically focusing on one of the three core competencies of the new curriculum – critical thinking. Critical thinking is an approach to learning that involves analyzing, questioning and developing a plan, idea, product or thought. Rather than just memorizing new information, we are asking students to think, question and form their own ideas and opinions about what they are learning. 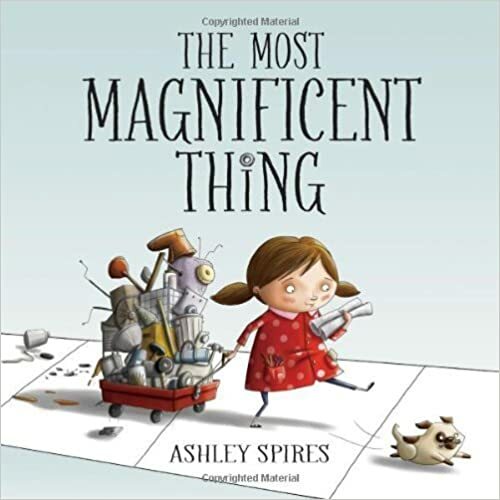 I then shared the book The Most Magnificent Thing by Ashley Spires. 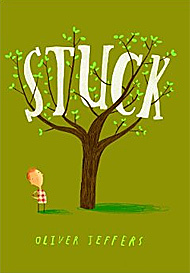 This book has many different themes, including perseverance and ways of dealing with frustration, but it was also a perfect fit for introducing critical thinking. In the story, the girl does not practice critical thinking skills initially while trying to make her most magnificent thing, which results in a lot of frustration and an eventual melt-down. It is only at the end of the story, she begins to analyze her attempts and re-designs her plan that the magnificent thing is finally complete. For the school assembly, I projected the YouTube read aloud. 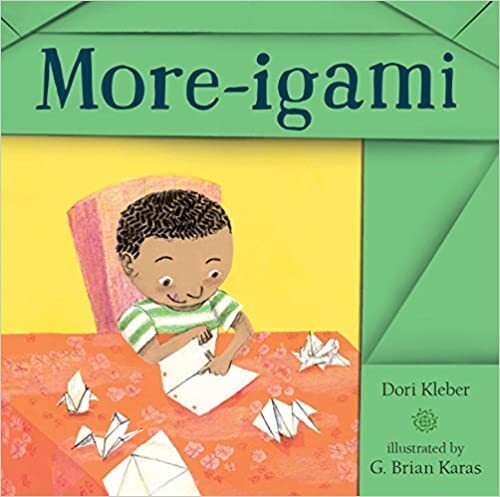 of this book on a large screen. 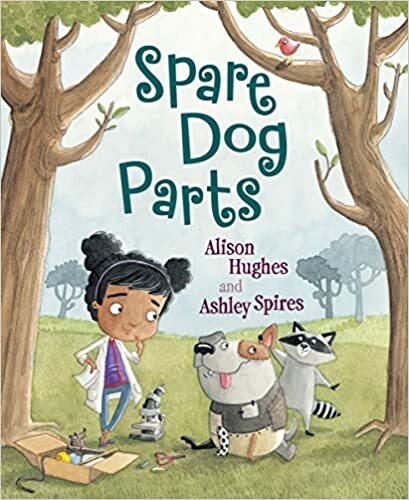 In thinking about this as a school project, I had nightmares of the entire school bringing in metal pieces, wheels, batteries, and wires, creating electronic chaos like the girl in this book does! 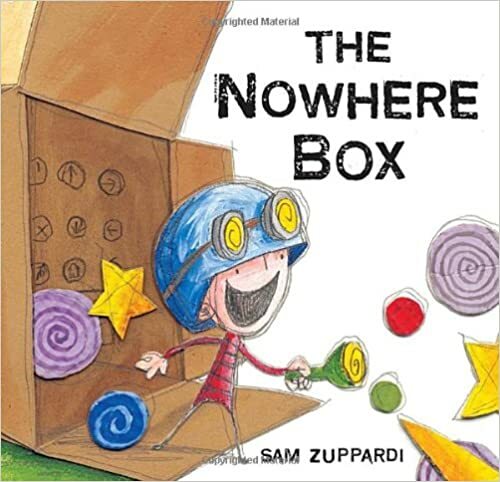 Inspired by the book What To Do With a Box by Jane Yolen, I simplified the project by having students use empty boxes to build their MMTs – Most Magnificent Things. 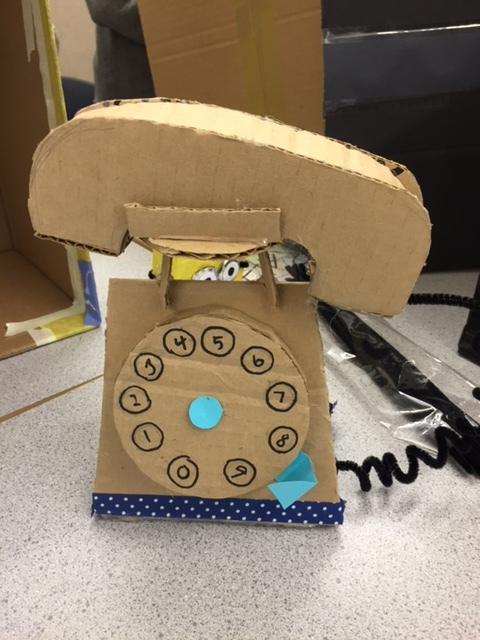 Students were asked to bring an empty box from home. It was amazing to see the variety – from gigantic empty refrigerator boxes to tiny match boxes! The next day, I met with grade groups to share Jane Yolen’s book and explain the project in more detail. I reminded the students that this project was an opportunity for them to practice critical thinking and that the product at the end was not as important as the process. They were also told that their teachers would be supplying the basic supplies of scissors, glue, paint and paper, but that if they needed any other materials that they would need to bring them from home. 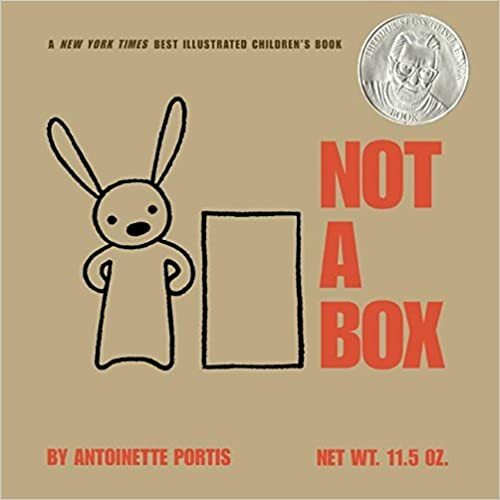 Back in their classes, students began the project by analyzing their own empty box – carefully looking at size, shape and special features. They drew, labelled and colored a careful diagram of their box. 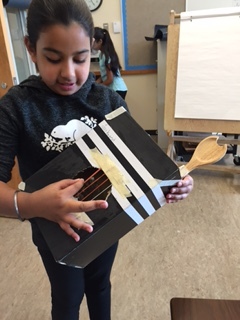 The next day, the students questioned what they were going to make, what materials they might need and what potential problems they may run into. They developed a plan for their project and then they were ready to set to work! 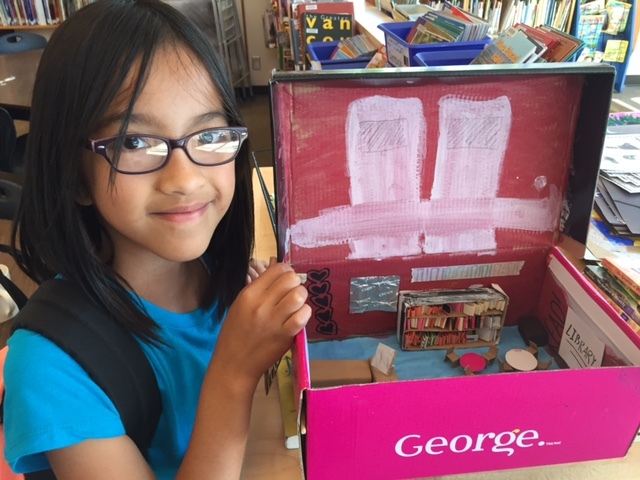 During the week, students spent many hours transforming their box into something magnificent! They were encouraged to practice their critical thinking skills during the process. If something wasn’t working they tried to analyze, question and develop a new plan. The school was buzzing with excitement and thinking! After four days of cutting, gluing, painting, bending, folding, attaching, taping, taping and more taping, along with a whole lot of analyzing, questioning and developing new plans – the MMT projects were FINISHED! 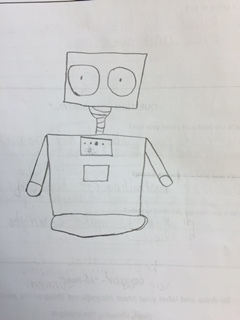 The students completed a self-reflection page and did a final drawing of their MMT. To celebrate this MAGNIFICENT project, we had an afternoon ‘walk about’ where students and teachers were given an opportunity to walk through other classes to view all of the ‘Magnificent Things’! WOW! 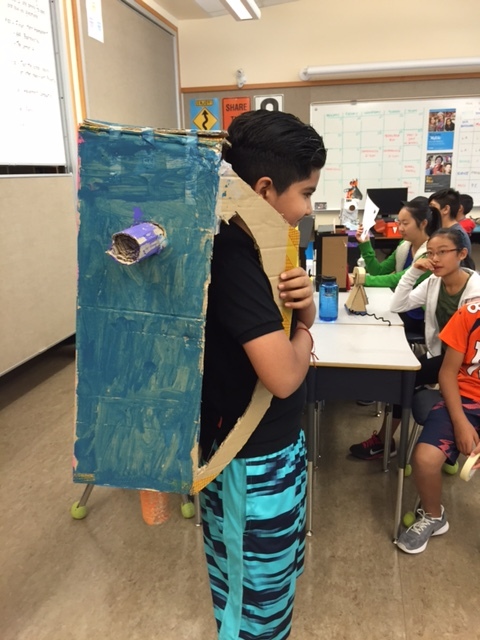 It was incredible to see how many different creations the students came up with – jet packs, miniature rooms, soccer games, castles, maps, musical instruments, telephones, puppet shows, and even a vending machine that actually worked! And while we all agreed there were some moments in the classrooms when creativity looked like more like chaos and a few teachers experienced most magnificent headaches, the students loved every minute of it and were thoroughly engaged. 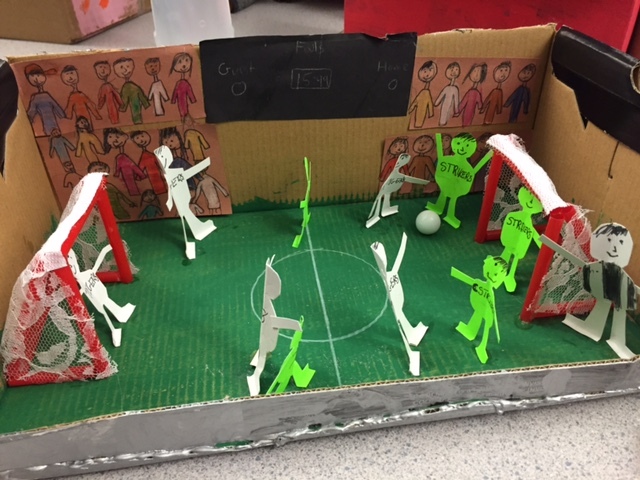 Throughout the week, they really demonstrated all the aspects of independent, project-based learning and critical thinking skills, while having a most magnificent time! 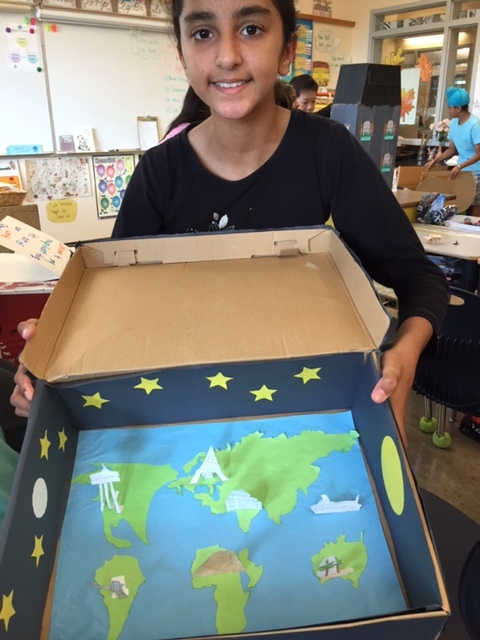 Here are just a few examples of the creative ways students turned their boxes into something magnificent! It truly was a most magnificent project! I highly recommend you try it with your class or your school! Is there a lesson plan out there that’s available? Thanks for the inspiring ideas, Adrienne! 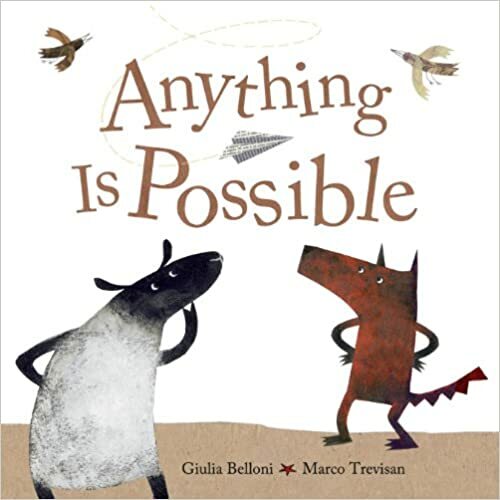 I typically share several of these books with classes; love the whole-school approach! They are very inspiring books! This could be either a whole school or modify it for just a class project. The students LOVED it! Is there a link to the worksheets used Above? I am excited to try this project. I ordered the bundle from your site. It did not include the slide for ANALYZE-QUESTION-DEVELOP though. Can I access that somewhere? Thanks! Early finishers can “assist” a friend. 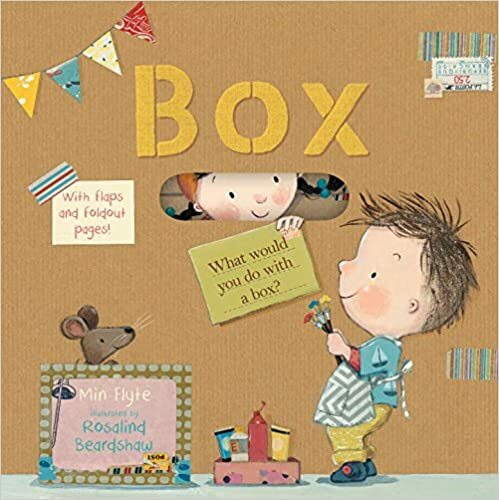 Or write about what their box can do. 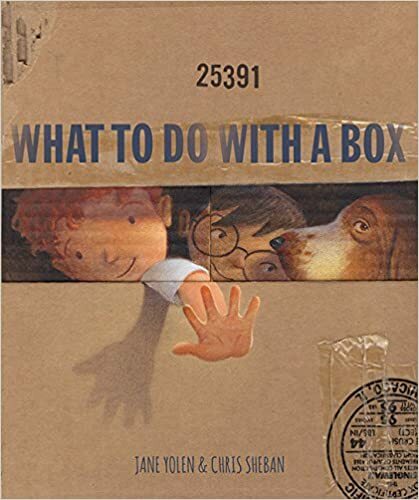 Read alouds – I read What to Do With A Box by Jane Yolen to the older kids and they really enjoyed it. 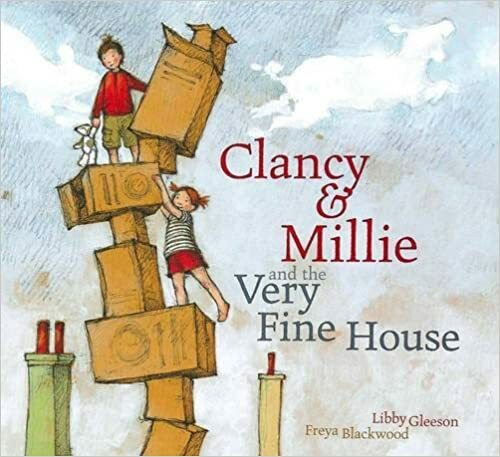 You might want to check out my blog post about box books to see if there are any books that might appeal for older kids…. Good luck with your project! Thank you so much for this book recommendation! I will certainly include it in my MMT book list and also post it on FB for anyone who is doing the project before Christmas. Thanks, again!